Your Smartphone SIM Type: Standard SIM, Micro SIM or Nano SIM? If you’re getting a new smartphone, you’ll need to make sure you have a SIM card of the right size to fit in your phone. If you’re changing mobile networks (e.g. to a SIM-only deal or Pay As You Go SIM), you’ll also need to make sure you order a SIM card of the right size. Depending on the model of smartphone you buy, there are three sizes of SIM card that can potentially be used in your phone: Standard SIM, Micro SIM and Nano SIM. In this article, we’ll look at the differences between the three types of SIM card. We’ll list the required SIM card size for different handsets and we’ll discuss how you can order a SIM card of the right size. Finally, we’ll look at how to change the size of your SIM card (e.g. into Micro SIM or Nano SIM). Who is the manufacturer of your handset? Which handset do you have? Which mobile network are you joining? To find out exactly what size of SIM card is required in your phone, please select your handset using the interactive tool above. Alternatively, you can read on for more in-depth information about the required SIM card size in different handsets. SIM cards come in three different sizes: Standard SIM, Micro SIM and Nano SIM. The right size of SIM card to fit in your handset will depend on the manufacturer and model of your smartphone. If you buy a mid-range or entry-level handset, the chances are it’ll require a Micro SIM. Handsets requiring a Micro SIM include the Moto G4 and handsets from the Samsung Galaxy J family. Meanwhile, newer high-end flagship smartphones typically require a nano-sized SIM card. Smartphones using Nano SIM including the iPhone 7, Google Pixel, Huawei P9, Moto Z and Galaxy S7. Comparison of SIM card dimensions. Please note: Nano SIMs are 0.09mm thinner than Standard SIM and Micro SIM. The three SIM card types work in exactly the same way from a technical perspective. They just differ in the amount of plastic housing that surrounds the metallic chip. Nevertheless, you’ll need to make sure you have a SIM card of the right size to fit in your handset. The tables below should help you to find a SIM card of the right size. If the SIM card you currently have is of the wrong size, see our guide to changing the size of your SIM card. If your phone doesn’t appear on this list, please drop us a comment below and we’ll endeavour to add it as soon as we can. Alternatively, you can refer to your manufacturer’s handset manual for more information. The dimensions of each SIM card type are provided earlier in this article. Once you’ve determined which size of SIM card is required by your phone, you’ll be in the position to now order a new SIM card of the right size. In the following section, we’ll explain how you can order a new Standard SIM, Micro SIM or Nano SIM. All of the UK’s major mobile networks offer a standard-size SIM card. If you’re prompted during the checkout process to specify the size of SIM card you require, you can choose either “Standard SIM”, “Combi SIM” or “Trio SIM” (the latter two SIM card types incorporate a Standard SIM as the outermost SIM card). All UK mobile networks also offer a micro-sized SIM card. 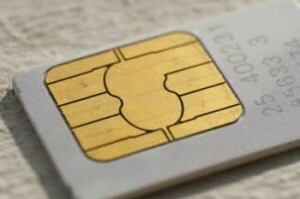 This is often provided in the form of a Combi SIM or Trio SIM where your Micro SIM will pop out from the centre of a Standard SIM. If you’re prompted during checkout to select your size of SIM card, you can choose either “Micro SIM”, “Combi SIM” or “Trio SIM”. If you choose the Trio SIM option, extra care should be taken to remove the Micro SIM correctly (it’s very easy to accidentally remove the Nano SIM). If prompted to select a SIM card type during checkout, you can choose either “Nano SIM” or “Trio SIM”. With a Trio SIM, the Nano SIM will pop out from the innermost portion. It’s not possible to use a “Combi SIM” in your handset as this will only support Standard SIM and Micro SIM handsets. If you currently have a SIM card but it’s of the wrong size, you’ll need to replace it before you can use it in your new smartphone. Generally, the best way to do this is to ask your mobile network for a replacement. If you’re outside the minimum term of your contract, there could be a suitable SIM-only deal for your usage. Meanwhile, if you’re inside the minimum term of your contract, it’s sometimes free to get a replacement SIM card but some mobile networks can charge you up to £10.21. If you’re changing from Standard SIM to Micro SIM, you can also use a Micro SIM cutter tool (available for around £5 on Amazon). Due to differences in thickness, this isn’t possible if you’re changing to Nano SIM (a Nano SIM you’ve cut down yourself will be slightly too thick, and has the potential to get jammed in your Nano SIM slot). If after changing the size of your SIM card you still want to use the SIM card in an older handset, this might be possible through the use of a SIM card adapter. If you’re looking to order a new SIM card of the right size to fit in your smartphone, please see our guide to the best Pay Monthly SIM cards and best Pay As You Go SIM cards. You may also find it useful to read our guide on changing the size of your SIM card. We'd love to hear your thoughts and any questions you may have. So far, we've received 338 comments from readers. You can add your own comment here. Sometimes, the contact between your SIM card and the mobile phone might not work for some reason (e.g. due to a problem with the SIM card). Have you tried testing the SIM card in a different device? Alternatively, you can order a free SIM card from elsewhere and test it inside your phone. I believe the Huawei Mate SE uses nano-sized SIM cards. If you aren’t able to find information about the SIM card size on the manufacturer specifications, the best thing to do would be to look at the SIM card slot when the phone arrives. You can compare the size of that SIM slot to the dimensions listed here. With regards to the Micro SD card slot, it’s really up to you how much storage you decide to put in (albeit, there’s likely to be a maximum card size supported by your phone). You can safely use a 32GB micro-SD card in almost any phone, with some devices supporting larger size SIM cards. Is it possible to insert& retrieve photos from HTC 1 sim card, into a Galaxy S8 phone? Different sizes..but still would love to get the info off this card somehow? Thanks for your comment. The photos aren’t actually stored on your SIM card, so inserting the SIM card in your phone won’t actually make any difference! It might be possible to use the micro-SD card slot to transfer photos from one device to another – alternatively, you can connect your phone to a computer and transfer the photos via your PC. Got a nano sim for my new phone. Came as a 3 in 1 card. Doesn’t fit. Seems too long. But may be too thick too. Thanks for your comment. This is odd because nano-SIMs have strictly defined dimensions. What handset are you using, and which mobile network provided you with the SIM card? My guess is they’ve probably provided you with the wrong size of SIM, but this would be odd if it’s coming as a 3-in-1 SIM card. The phone is an Xperia XZ1 Compact. Card does fit. My age and eyesight were the issue. I had placed the card on the card tray as close to the “outer end” as I could. Turns out that there is a small piece of plastic there and this lifted the end of the card so it wouldn’t slide home. Took a powerful work light for my poor eyes to see it. Thanks for getting back to me with feedback! I’m glad the SIM card fitted inside OK in the end! What size SIM cards do I need for the Nokia 1 pay as you go ? I believe the Nokia 1 takes nano-sized SIM cards. Hi, I had a standard SIM and was able to have it cut to micro size for my Samsung Galaxy Mega 2. Can I cut it again to use in a new phone that wants a nano? Many thanks for your comment. I’d strongly recommend against cutting your SIM card down to Nano SIM dimensions (see our guide to changing the size of your SIM card for more information). This is because a nano-sized SIM card is slightly thinner than a Micro SIM, so it may damage your device when inserted. Your mobile network should be able to provide you with a replacement Nano SIM at no/minimal cost. I believe the Nokia 105 uses standard size SIM cards. Hi I have purchase a Samsung J5 . It says online it takes a Micro Sim but my old Micro sim does not fit in the slot HELP!!! Thanks for your comment. Do you know the exact model for your handset? If it’s a Galaxy J5 (2017 edition), I believe you now need the smaller nano-sized SIM card. I have a Nokia C1, which I believe has a standard sim card. i’m looking for a really cheap, secondhand smartphone in which I can put my standard sim card. I have pay as you go with this Nokia. I found a Samsung Galaxy S3 Mini i8200, would my sim be compatible? I believe the Samsung Galaxy S3 Mini i8200 does take standard-size SIM cards. As an alternative option, if you’d like a wider choice of handsets, consider replacing your SIM card with a smaller one and then using the relevant adapter when the SIM card is in your Nokia C1. Hi Ken. I am changing from a Nokia basic non smartphone to an Apple SE I-phone. I won’t be using it that much but more then the original phone. What tariff/PAYG/ etc. Do you recommend. I find the whole thing very confusing. Many thanks for your comment. If you’re new to using a smartphone, I’d probably recommend getting something like a SIM card from giffgaff. For £10, you’ll get 3GB of data along with unlimited minutes & unlimited texts. The great thing about it is: (i) it’s totally flexible so there’s no obligation to use it for more than one month (and no notice periods, etc), (ii) you can easily change to another tariff on giffgaff or another mobile network altogether and (iii) you’ll get an e-mail at the end of the month telling you how much data & minutes you’ve used over the past month. That should hopefully put you in a better position to figure out what type of tariff you want – either Pay As You Go or a Pay Monthly SIM Card. Many thanks for your comment. Is there a reason you’re specifically looking for a device that uses the standard-size SIM card? Unfortunately, there are very few devices being manufactured today using the standard-size SIM card, so it would be hugely advantageous to expand your search to a wider range of devices. Sadly, there haven’t really been very many handsets produced in the past few years that use a standard size SIM card. The most recent I could find is something like the Huawei Y3 (a low-end handset produced by Huawei in 2015). For a higher-end device, you’ll probably need to go back to something like the Galaxy S2 or Galaxy Note (high-end handsets produced by Samsung in 2011). I believe the Wileyfox Swift 2 takes micro-sized SIM cards. I have an Alcatel One Touch P330X. What size SIM card does it take, Please? From a quick search on Google, I believe it probably takes standard-size SIM cards (also known as 2FF or Mini SIM). However, I’d recommend verifying this information before ordering a SIM card for your device. I recently purchased new models of Oukitel phones, K6000Pro and K6, which use nano sim cards. I live in the U.S. but these phones were purchased from companies in China. On both models of phones, the AT&T nano sim cards were not recognized by the phones, and I was unable to connect to the cellular network. Are sim cards in the U.S. different from sim cards in other countries? Many thanks for your comment. Nano-sized SIM cards should be standard across the whole world, so you should be able to use one in any GSM handset that’s unlocked. Have you checked that the phones are compatible with AT&T’s network (e.g. with the bands, etc)? Both Oukitel phones were described as compatible with AT&T’s network bands. More recently, I had the same exact problem with a new unlocked Nokia 6 purchased from Amazon. AT&T support techs were unable to explain why none of the phones even recognized the presence of the nano sim cards in the phones. So now I’m wary of purchasing any unlocked GSM phone that requires a nano sim card. Thanks for the article! Do u know what is the latest smartphone which can take a standard SIM card? Many thanks for your comment. Unfortunately, there aren’t really any new smartphones that now take a standard-sized SIM card. The newest ones I was able to find in the above list were the Huawei Y3 (2015) and Samsung Galaxy Xcover 3 (also from 2015). Is there a reason you don’t want to switch to either Micro SIM or Nano SIM? Yes, unfortunately, they do require the account owner to request the SIM card swap. Is there any chance you might be able to request it online or over the phone instead? This will potentially be a lot easier than trying to do it in-store. Currently have Motorola moto e second gen, want to put the sim card into a sonim xp7, is this doable? Yes – I believe both of the handsets use micro-sized SIM cards so you should be able to swap the SIM card from one handset into another. Many thanks for your comment. There’s no need to purchase all three: all you need is to order a free SIM card and then you can get going with it. Optionally, you can add a micro-SD card for more storage on the phone but this is optional so you can either do it now or you can wait until the phone gets low on its built-in storage. Can I use myprevious Galaxy Core Prime SIM card in my LG Fiesta LTE 4G? Many thanks for your comment. I believe the LG Fiesta LTE uses nano-sized SIM cards whereas the Galaxy Core Prime uses micro-sized SIM cards. For this reason, it’s probably unlikely you’ll be able to use the SIM card as-is – I recommend contacting your carrier to enquire about getting a replacement nano-SIM. The full-size has the size of a credit card and was used in old phones. You might notice that providers still ship this size with a break-out cut. What you call standard SIM is actually called mini-SIM. You might want to correct that. 1) Most UK mobile networks use “Standard SIM” as a name for Mini-SIM (2FF). Therefore, this is the terminology our readers are looking for when trying to work out what size of SIM card they require in their handset. 2) In general, there always seems to be a fair bit of confusion between “mini” and “micro” (probably just because they both begin with M). For many people, “mini” implies the SIM card should be smaller than normal (hence, lots of people actually refer to micro-SIM as mini-SIM). I believe the use of “standard SIM” therefore reduces confusion, despite it technically being an ambiguous/meaningless term. Many thanks for your comment. Unfortunately, I don’t have any information specific to this device. From a quick look at the Netgear website, I see there’s supposed to a SIM card included with the hotspot. If so, you can compare the included SIM card against this diagram to work out which size of SIM card it supports. Alternatively, you can read through the product documentation to see if they have any details there about the SIM cards supported. The Sony XPeria U is not in the list. Thanks for your comment. I believe the Xperia U uses standard-size SIM cards. I just ordered a SIM for my new carrier and punched the SIM card out of the holder. I saw it was attached to this huge SIM card-shaped thing, but then noticed that the little card remaining was too small for my phone. Apparently it was a nano SIM when my LG G3 uses a micro SIM. Fortunately, I was able to retrieve the larger SIM frame from my trash and then noticed that within it was another piece that I could snap onto on the nano SIM to make it a micro SIM! You saved me! I believe the Huawei Y6 uses Micro SIM and the BlackBerry Curve 8520 uses Standard SIM. Therefore, if you’d like to use the SIM card from Huawei Y6 in the BlackBerry Curve 8520, you’ll need to buy a SIM card adapter. The size of your SIM card has absolutely no impact on performance or browsing speed – the only real difference between Standard SIM, Micro SIM and Nano SIM is the amount of plastic surrounding your SIM card chip. Hi. I’ve just bought a Samsung Galaxy S7 and trying to fit the sim from my previous phone. That was a Samsung Galaxy S4mini. Will the sim fit and if not what do I need to do. I’ve never had to do this before. Thank you. Thanks for the comment. Unfortunately, the Galaxy S4 Mini uses micro-SIM and the Galaxy S7 uses nano-SIM. For this reason, you’ll need to replace your micro-SIM with a nano-SIM before using it in the S7. Your mobile network can provide you with a replacement (typically for free). Thanks for your comment. The Galaxy Core Prime uses micro-SIM whereas the iPhone 7 uses nano-SIM. For this reason, you’ll need to get a replacement Nano SIM from your mobile network. I just wanted to mention that one can (with a bit of risk and with great care, of course) successfully cut “standard/mini” SIM cards to fit in micro and, yes, nano devices too. For nano devices you simply need a piece of sandpaper to sand down the plastic thickness (as nano sims are around 12% thinner and your freshly cut card still might not fit in the card slot correctly because it may be too thick). Simply put a piece of plastic/saran wrap over the metallic (data storage side) to protect it and sand the other (just plastic side) until the plastic is thin enough to slide into the slot easily. Make sure you remove the plastic/saran wrap after you are done sanding. I personally think the whole SIM card thing is madness. They are basically glorified flash cards. So many companies are using basically the same technology for all of these “flash-based” cards (there are dozens of kinds) and hopefully some day they will standardizes better like they did for USB and HDMI for interconnectability. The reason they made the standard/mini SIM as big as they did initially was to protect the more sensitive area from fingers/nails when inserting and removing. I agree that this was (and is) still the best size. Nano or Micro should have been utilized for smart watches or other devices that are tiny where their size would demand something smaller than a standard/mini SIM. How does the ‘Triple SIM’ accommodate the difference in thickness between a nano SIM and the others? Thanks for the comment. I believe the central part of the SIM card (the nano-SIM part) is recessed slightly due to the difference in thickness. This means if you pop out the nano-SIM, it should be the right thickness as required by the specifications. There’s some information here in the spec sheet from one SIM card manufacturer (I assume it’s probably the same for other manufacturers). Thanks Ken. There’s good information in that link. There’s more to those Triple SIMs than I ever imagined! I have an old cellphone it is sony ericsson T200 and I have never used it for many years and I want to know if it still works if I ask the customer service in a mobile store. I lost the adapter…. I only have the cellphone and the old battery. Thanks for your comment. The Sony Ericsson T200 uses standard size SIM cards and is compatible with GSM 900/1800/1900. This means you should be able to use it without any problems on EE, O2 and Vodafone. i have dell venu 10 pro medel tablet, the manual says it uses micro sim but when i plug it to my tablet it looks too small for for the sapce so it doesn’t fit properly??? I’ve double-checked the specifications online and I can confirm the tablet does use a micro-sized SIM card. One thing to make sure is maybe that you’re putting it into the right slot (be careful not to put the SIM card into the micro-SD slot)! Can we change micro sim to nano sim? Indeed, you can! Please see the article here for more information on changing your micro SIM into a nano SIM. Great and friendly article . In fact a reference material for dummies like me. Presently I’ve Galaxy Note II which uses Micro sim. I have bought a Huawei Mate 8 which uses Nano Sim. I’ll go and buy nano sim . But can it be used with an adaptor as micro sim if I want to use Note II ? . I understand you mentioned about the difference in thickness of both Micro an Nano sim . Thanks for your comment. It is possible to make use of a nano-to-micro-SIM adapter (you can buy these online at places like Amazon). The only thing I’d be careful of is that with certain handsets, an adapter can sometimes cause damage to the SIM slot. This is certainly the case on the Galaxy Note original, so it might be worth double checking for the Galaxy Note II. In process of changing phones. Received tri SIM card yesterday. Question can I use 1 size standard in 1 phone and and nano sim in my iPhone at same time. Or can only 1 sim be used. Thanks for your comment. Unfortunately, it’s only possible to have one SIM card associated with an account at any time. This means you’ll need to choose between the standard SIM and nano SIM (my recommendation would be to use a nano SIM and then to consider using an adapter). I would just like to say thank you for doing this. I’m in a process of choosing a new phone, after putting it off for years – bought my last phone in 2009 – obviously not a tech fan! Ken, I am in the process of getting a new Moto g 3rd gen. phone and wish to transfer some of the apps. and data from my wife’s moto g phone. I understand I can use the Migrate app to do the transfer. If I use the Migrate app will it transfer the whole of the data held on the Moto g or will it just copy the data and leave my wife’s phone as it is. I believe Motorola Migrate will only copy the information from your old handset to your new handset. It won’t wipe the information on your handset, but you can do a factory reset if you’d like to do this. My new phone is an Apple iPhone 6S+. It doesn’t open at all. Is there anyway to get this plan once in Israel? Thanks for your comment. The iPhone 6s Plus should have a nano-sized SIM card slot: more information here on how you can access the slot. Is this not working for you? My son got his new phone today it’s a sony M4 we were told in the shop that the sim in his Sony M2 will go in his new phone but the sim is too big as he needs a nano in the M4. Any help much appreciated thank you. Thanks for your comment. Your son will need to replace his existing Micro SIM for a smaller Nano SIM. There’s more information here about how to do this. I have a new Samsung Galaxy A3 which is completely different from my previous mobile. It has a little tray on the side for the SIM card and an ejection pin to open the tray. I have put the pin into the tray but nothing happens. I’m afraid to use force in case I damage it. I don’t see how inserting the pin can open the tray as the instructions don’t say to turn the pin so it doesn’t grab onto anything. Thanks for your comment. My experience, is you do need to use a little bit of force (when you push the pin into the small hole, the SIM card tray should hopefully pop out). Of course, however, you should double-check the manual and follow the instructions there (otherwise it’s possible you could damage your handset). Thanks, Ken, a little force worked. I appreciate your help. Please can you help. I would be so grateful, as I haven’t a clue about anything like this! I have a Samsung mini S III which I believe but I am not sure, has a standard SIM? Could you please advise me if a Nano SIM would fit my mobile phone as my network provider, Vodafone, is currently offering a much cheaper deal for me, if a Nano SIM will fit my mobile phone. Thank you for your time and I look forward to hearing from you. Kind regards, Donna. Thanks for your comment. You’ll need a nano-to-standard SIM adapter if you’d like to use a nano-SIM in your Galaxy S3 mini. Alternatively, once you have your nano-SIM, you can ask Vodafone for a free replacement standard SIM. Thanks for your comment. Your Galaxy A3 takes a nano-SIM from your mobile network. It also takes a micro-SD card if you’d like to add extra storage (this will go in a different slot in your handset). Your handset supports micro-SD cards of up to 64GB: you can buy one for about £16 on Amazon.co.uk. Thanks for your comment. I’m not aware of any reason why an Xperia L will not work with 128K SIM cards. Out of interest, how do you know you’re using a 128K SIM card? Have you tried using it any other SIM cards in case it’s a technical fault with the SIM card itself? I have purchased a Landvo v81 android phone. It has a slot for a standard sim card. Can I use my mini sim card from virgin mobile instead? I have a Nokia 105 single sim, grateful if you could tell me what size sim card I should use? Many thanks in advance. The Nokia 105 uses standard-size SIM cards. Great question! I don’t believe the Xperia Z6 has yet been announced, so there isn’t any info about this at the moment. Sony did however recently announce the Xperia X (this is apparently going to replace the Xperia Z family). All of the Xperia X devices use a nano-size SIM card, and I think Sony is likely to stick with Nano SIM going forward. what kind of sim card goes to BLU ENERGY X smartphone? The Blu Energy X uses micro-sized SIM cards. Thanks for this! It’s listed above but under the name “Samsung Galaxy Note II” (this is how the name was officially stylised by Samsung). Whoops – thank you for the heads up about this! I’ve just amended the info in the table above. I’ve had an HTC Desire C and want to buy an Moto G4 2015 (think its 3rd gen model), am I right in thinking the Moto has a micro sim and HTC a normal sim ?, so in that case I guess I have to spend an eve transferring all my numbers and info etc ??? You’re right – the Desire C uses standard size SIM cards while the Moto G (3rd Generation) uses micro-sized SIMs. My recommendation is to sync your contacts with a Google account – that way, your phone book will be transferred automatically as soon as you log in to your new Moto G.
I have a contract with Three that has eight months to run. Can I transfer the SIM from my current HTC Desire 500 phone (which is now broken/not working) to an unlocked phone that I purchase from a store (either Three or elsewhere), using an adaptor if necessary? It seems perverse to pay an early upgrade/cancellation fee if I can do it this way. You can indeed take the Micro SIM from your Desire 500 to use it in another phone. If your new phone uses a different size of SIM card, you can also ask Three to replace your SIM card for free. It will almost certainly work out to be better value this way, rather than paying a fee to upgrade early. If I may, do consider the Moto G 3rd Generation – it’s one of the most popular mid-range smartphones amongst readers of this website. Thanks, very useful. I did in fact transfer the SIM to an old phone via a local shop. I may buy the Moto G 3rd Generation – if I can get it at a good price – for the remaining 8 months of my contract. And then use it for a new contract with whatever provider does the best deal. Ken great article. Helps all folks around the world. Respect. Unfortunately, the Motorola Droid X is a CDMA-only device. For this reason, it doesn’t have a SIM card slot inside it. 1. If I get a new micro sim, do I keep my phone number or lose it? Do I have a choice? If I can’t keep my number, I’m going to have to get a sim card cutter. 2. If I get a new micro sim, how do I import my contacts? Normally they would just be on the sim but they won’t be on a new sim. Do I have to connect my old phone to a computer and copy them somehow, then connect the new phone and paste them, or what? Do I just introduce the 2 phones to each other and they will do the rest? Thanks for your comment and some very good questions! 1. Take a look at my article on changing the size of your SIM card. In short: yes, you can keep your current phone number – this is regardless of whether you get a replacement SIM or whether you cut your existing SIM card down. 2. The easiest way to transfer your contacts will probably be to synchronise them somehow (if both devices are a smartphone, you can probably synchronise your phone book to the cloud e.g. your iCloud, Google or Microsoft account). Alternatively, you could use a USB cable to synchronise the phone book via a computer. Thanks for sharing such an interesting and very useful article. I am from India and going UK as a student. Would you please advice me that which smart phone with which type of sim will be most useful for me there. I will be grateful to you if you please also suggest me that from where i can get the appropriate sim in UK. Thanks for your comment – hope you have a smooth trip and a lovely time here in the UK! It doesn’t really matter which type of SIM card your phone requires as all three are easy to obtain when you’re in the UK. You could either bring an unlocked handset from India or you can buy a new one upon your arrival in this country. My personal recommendation would be the Moto G (3rd Gen) – it’s a great value handset at only £139 SIM-free and unlocked. Finally, I recommend having a look at the article here for a good overview of all the SIM cards in the UK. For you, giffgaff will probably be the best value option. It’s £10/month for 500 minutes, unlimited texts and 1GB of 4G-speed internet. When calling India, it’ll cost you 2p/minute. I appreciate your free knowledge. I lost my new Galaxy S5 and bought a Samsung Galaxy S4 mini from Amazon, I was unaware that it did not come with a card. What size and manufacturer do you recommended? I was going to go with 64K made bt Samsung. I had heard that Scan-disk or different cheaper manufacturers cards are not up to manufacture standards? Also does the larger cards (64K) vs (32K or 16K) make the phone perform any better? 1) When buying your micro-SD card from Amazon.co.uk, always choose to buy the card that is sold and dispatched directly by Amazon (with third-party sellers, there is a bit of risk around fake cards). 2) With regards to performance, I strongly recommend you buy a Class 10 card. The size of the card (16GB, 32GB or 64GB) makes no difference to speed: it’s the class rating which determines performance. I have a Motorola Droid X and want to switch to a Motorola Droid Razr Maxx… both devices are Verizon phones. I know where the SIM card slot is located on the Droid Razr Maxx but unaware of where to locate it on the Droid X? And also, are the SIM cards compatible? Thanks for your comment. The Motorola Droid X is a CDMA-only handset. For this reason, it doesn’t actually have a SIM card slot inside it! If you’d like to move onto a 4G LTE service, I believe Verizon should provide you with a new SIM card for the service. This may sound like a really stupid question, but I have put a nano SIM into my new Galaxy Core instead of putting a Micro SIM into it. Now, the problem I have is how do I get it out as there doesn’t seem to be any magic button to press to get the card back out. Whilst I acknowledged my own personal gross stupidity, I am amazed that manufacturers haven’t acknowledged that there are plenty of idiots like me who will have done such a thing and have a release mechanism. Do I just need to send it back to the supplier or manufacturer for release? Sorry to hear about the SIM card problem on your Samsung Galaxy Core 🙁 My recommendation is you find the nearest Samsung Service Centre. The guys there will be best placed to help you solve this issue. There might be a way of fixing this yourself but you can potentially invalidate the warranty on your handset. What you are calling a standard SIM is not a standard SIM. It is a mini SIM. Thanks for your comment – I very much agree with you! What I’m calling ‘Standard SIM’ on the page should technically be called ‘Mini SIM’. The reason I call it Standard SIM on this page is because I’m following the conventions set by UK mobile operators (UK mobile networks typically offer you the choice of Standard SIM, Micro SIM or Nano SIM). A further reason is that ‘Micro’ and ‘Mini’ are often confused (I often get people asking for Mini SIM when they actually want a micro-sized SIM). You would still be wrong to call a mini sim a standard sim – it is such folly that ‘dumbs down’ society. Some of us remember phones that used a standard sim – it was a credit card size. Jonathan, I believe as I actually work for a phone company in the UK that the newer generation of people (Ages 40 and below) are more familiar with the descriptive “Standard Sim” for the size you are talking about. Mini sim is a lot easier to confuse with micro so for this reason I think Ken is correct. I am planning to change from an iPhone 6 Plus to a Samsung Galaxy S6. I am aware that both are nano-Sim phones and was wondering if I can just pop my iPhone’s nano-Sim into the S6. Thanks for your comment. Indeed – you can simply switch your nano-sized SIM card between any device that takes a nano-SIM. So it’s perfectly fine to use your iPhone’s nano-SIM in a Galaxy S6. Thanks for your comment. I believe standard-size SIM cards are still the most commonly available in countries around the world. For this reason, an argument could be made to buy a phone which utilises standard-SIM. In reality, this would mean you’re restricted to old & low-end handsets (e.g. the Galaxy S3 Mini). A more practical solution might be to pack a SIM card adapter or a SIM card cutter when you’re travelling. This would mean you’re able to adapt/cut the local SIM card to any size as required by your phone. If you were to do this, you could buy a smartphone accepting SIM cards of any size. I have been doing the same thing for many years – in that country when you exit the airport there are people selling SIM cards on the street, you don’t need to show any id, just buy the SIM card, pop it in your phone and start calling. I believe they only have one size of SIM card which you call the standard (biggest size). My question is which phones from the Samsung family have the standard SIM card? I currently do not have a smart phone, never had one. I use a flip phone I’ve had for 6 years.Thank you! I believe all Samsung feature phones should use a standard-size SIM card. For smartphones, you can see the table I’ve posted above – it should tell you the size of SIM card used by most Samsung devices. I have traveled to various countries in Europe and to Australia with my iPhone 5S which uses a nano chip. It has been slightly more difficult to purchase a nano SIM (not all carriers have stock) but after one or two tries I have been successful so would not worry about SIM size when purchasing a phone. I was wondering if I could switch a HTC desire 601 SIM card into a galaxy S4? Yes – you should be able to swap a SIM card between the two handsets (they both take a micro-sized SIM card). The Galaxy Note 2 uses micro-SIM whereas the Desire 610 uses nano-SIM. Hence, before you’re able to use your SIM card in the Desire 610, you’ll need to get a nano-sized replacement. im currently using a samsung galaxy ace 4 with the micro sim card but im wanting to change over to the motorola razr v thats unlocked, which uses the same sim card but my micro doesnt fit. What can I do to fix this? Thanks for your comment. I believe the Motorola Razr V uses standard-size SIM cards (also referred to as a *Mini* SIM, which is larger than Micro SIM). As your current handset (the Galaxy Ace 4) uses Micro SIM, you’ll either need a SIM card adapter or you’ll need to ask your network for a larger replacement SIM card. Thanks for your comment. It is possible to get a Pay As You Go SIM card and to move your phone number over to that SIM. Before you do so, please be aware that you might be charged an early termination fee if you’re still mid-contract. Also, as you’re going abroad, have a careful read of my article on Pay As You Go inactivity (you’ll want to make sure your phone number doesn’t expire when you’re travelling in another country). With regards to your other question (putting your UK SIM card into a Motorola Razr V3), this also wouldn’t be a problem. You should be aware that the Razr V3 uses standard-size SIM cards whereas the iPhone 4S uses micro-sized SIM cards. For this reason, you’ll either need to replace your Micro SIM with a larger Standard SIM or you’ll need to buy a SIM card adapter (around £2 on Amazon). You should also double-check with your network to make sure the SIM card is enabled for international roaming. Ken thank you it does. I’m not concerned about a contract as I’m on a rolling 30 day with Tesco, and it would be their Pay and Go I’d get…also I have clarified with them about the activity – its one text or call in 6 months which I should be able to do fine – possibly even from the UK on visits but the international roaming is a good call. Also thanks for telling me about the sim card difference, I think I’d be best with the adapter as then if I want to put the pay as you go in my iphone on visits to the UK I can. That goes a long way towards helping me come up with a cunning plan! This article is very informative. However I intend to buy a BLU Star 4.5 S450a Unlocked GSM Quad-Core Dual-SIM phone. I don’t see any information about Blu phones. Could you tell me what sizes of sim cards are required for this phone? Thank you. Thanks for your comment. Unfortunately, we don’t cover handsets from BLU in this guide at present. I’ve tried searching for this info online but unfortunately, it doesn’t seem to be easy to find. The best thing to do this is to compare the SIM card slot against the diagram here. Alternatively, you can ask the manufacturer or the retailer of the handset. Is there any dual sim phone that uses a standard and a mini sim? I would like to carry just one phone instead of my current HTC (standard sim) and samsung (mini) but need to keep both sim cards. I doubt there are many dual-SIM handsets which use both a standard-size SIM card slot and a micro-sized SIM card slot (normally, both SIM card slots will be the same size for simplicity and ease of use). I’m aware some Huawei-made handsets have a micro-SIM and nano-SIM (not sure if there are any with the Standard SIM & Micro SIM combination). Your best bet would probably be to use an adapter for one of the SIM cards. I am using a Samsung S5 at the moment but I just bought an iPhone 6. Can I use the SIM card from my s5 and put it into my iPhone 6? Thanks for your comment. You can use your Galaxy S5 SIM card inside an iPhone 6 but you’ll need to change it to a nano-sized SIM card (the Galaxy S5 uses Micro SIM whereas the iPhone 6 uses Nano SIM). For more information on how to do this, see my guide on changing the size of your SIM card. Hi, I have a slight dilemma as I would really like the new Samsung Galaxy S6 but I can’t upgrade my current phone until February 2016. However, I could possibly upgrade my other number that I generally use as a work phone, as that’s not under contract. EE are making it very difficult for me and don’t seem to want the increased business from me that it will generate for them. That aside, I thought that I could get the S6 and swap my SIMs over so that I could use the S6 for my main number and use my current S5 for my work phone. I’m doing careful research first though as I don’t want to sign up unless I know for sure that I can use the S6 with my main number. I thought I’d better check SIM card size and just learned from your website that the S6 uses nano-sim, and S5 uses micro-sim. So I seem to be thwarted at every turn. Are there any other possibilities for me? Are there various SIM card adapters/converters out there that I can use? EE are so difficult that I can’t see them letting me have a replacement nano-sim for my current number in order to use the S6. Thanks for your comment and apologies for the delay in replying (I have a backlog of messages from over the Easter holiday!). There shouldn’t be any problems swapping the SIM card between the two handsets (this is because both handsets are on the EE network). As you say, one complication is you need a nano-sized SIM for the Galaxy S6 and a micro-sized SIM for the Galaxy S5. Hence, in order to swap the SIM cards between the two handsets, you’ll need to contact EE and ask for a replacement SIM card of the right size. There’ll be a £10.21 charge for each of the SIM cards. As an alternative to paying EE’s charges, you could alternatively use a SIM card adapter. In general, I wouldn’t recommend this as micro-SIMs and nano-SIMs have a slightly different thickness (it’s only a 0.09mm difference in thickness but using a non-regulation SIM card can potentially damage your handset and may also invalidate your phone’s warranty). The Nokia 640 Dual Sim is not yet in the list, it requires Micro SIMs. What size sim does a Nokia 130 need? The Nokia 130 uses standard-size SIM cards. I googled “Charge for nano SIM for T-Mobile UK”. The search returned, among others, the following entry: (reproduced as downloaded 09 March 2015). On this site, you are invited to submit an application for a SIM, and no mention is made of a charge during the application process. I haven’t ordered one but I am potentially interested because I am considering a Lumia 735, which requires a nano SIM. Have any of your subscribers ordered using this route? Thanks for your comment. You’ll see the message about a £10.20 charge appearing on the page after you select the relevant options (choose T-Mobile under ‘Do you have an EE, Orange or T-Mobile plan?’ followed by the ‘Pay Monthly’ or ‘Pay As You Go’ options). For customers on Orange, it will instead show that there’s no charge for the replacement nano SIM. I thought it might be too good to be true. Thanks for your reply. Giffgaff seems tempting if I need a nano SIM, but T-Mobile’s 6 month internet booster add on for £20 is good value, and may tempt me to pay up. The Galaxy S3 Mini VE (GT-I8200) uses Standard Size SIM cards. Thanks for your comment. The Samsung Stratosphere uses micro-sized SIM cards (more information about how to insert a micro-SIM on Samsung’s USA website). which type of sim card is used for Xiaomi MI4? The Xiaomi Mi4 uses micro-sized SIM cards. The Galaxy S3 Neo requires micro-sized SIM cards (just like the Galaxy S3 which also uses Micro SIM). Hey, I have a MTS Samsung galaxy s4 mini and it is broken and my contract is too expensive to buy out. Can I get a used iPhone 5c and put my sim card in there? Will it work for my contract or what happens?? You can indeed do this: providing the iPhone 5c is either unlocked or locked to MTS. You’ll need to contact your network to replace your Micro SIM with a Nano SIM. Hi ken, thanks for answering all those questions faithfully on your site! I just have a small question: when I order my new sim card to my new phone, what happens to an incoming call? Will both phones ring together or will the network detect only one and which one? Best regards! Thanks for your comment. Unfortunately, it’s only possible to have one active SIM card for your phone number: once you’ve completed the online SIM swap, the new SIM card will be active and the old one will cease to function. The Bush Windows Phone uses a standard-size SIM card whereas your old Lumia 520 uses a micro-sized SIM. You’ll need to contact your network in order to get a replacement standard-size SIM card. It’s free on all networks except from EE and T-Mobile who’ll charge you £10.20 for a replacement SIM card. 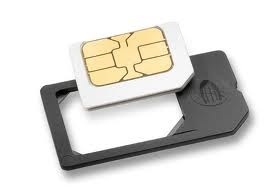 You could also use a SIM card adapter to turn your micro SIM into a larger standard SIM. In general, I’d only recommend this if there was a good reason not to choose the first option (SIM card adapters can occasionally cause damage to your handset). What kind of SIM card does the Samsung Galaxy Fame take? I live in UK. The Galaxy Fame takes standard-size SIM cards. What size SIM card is needed for the HTC Thunderbolt? The HTC Thunderbolt requires a standard-size SIM card. Thank you for providing such a well-researched article. Working with M2M devices, it is not uncommon to encounter products that have a soldered-on SIM chip (they do not utilize any of the three SIM card form factors mentioned in the above article not a card form factor The intent is that the carrier is not expected to change (without swapping to a different Circuit board that has a different SIM soldered to it for that specific carrier). The carrier supplies these SIM chips in quantities of 10,000 (typically ordered in “LOTS” of 10,000 as a minimum order in response to an order from the M2M device manufacturer. What variations could we expect to see, in terms of a soldered-on SIM chip form factor? Do we tend to find that certain carriers will have a preferred form factor in the case of soldered-on SIM cards? Are there any other insights or caveats that you can share in regard to soldered-down SIM chips as you did in the above article? Presumably, because the carriers provide the SIM chips, they should already have these SIM credentials in their management/billing systems by the time that the M2M device is fired up and joins the network. Are you aware of any scenarios where the device manufacturer might produce its own SIM chips with unique SIM numbers in them (via coordination with the carrier and the CARRIER then updates their management/billing system with the information that is given to them by their device manufacturing company? Also, can you comment on scenarios where International/aka “world” phones utilize more than one SIM? (For example, one SIM used for US domestic 4G/LTE coverage and another SIM for GSM- or HSPA-based communication via two separate carriers? Also, in the case of soldered-down SIM Chips on M2M devices, do different carriers and/or device manufacturers have preferences when it comes to form factor? Is it possible to use one SIM chip (soldered in) with one carrier and then later, if a different carrier is desired, un-provision the SIM card/chip from the first carrier, then provision that SIM with a different carrier? Would this work? If so, it would enable switching to a different carrier without having to replace the entire board and SIM. while preventing the board with the soldered-down SIM chip from having to be swapped in order to switch to the second carrier? Some M2M applications simply use a normal plastic SIM card (the same type of SIM card we use in consumer devices). We call these 2FF, 3FF and 4FF respectively (corresponding to Standard SIM, Micro SIM and Nano SIM in the article above). Other M2M applications use a special type of SIM card: the Machine to Machine Form Factor versions 1 and 2 (called MFF1 and MFF2 for short). As you say, these are soldered directly onto the device. You can read the specifications for the MFF SIM cards in this document from ETSI. Reprogrammable SIM cards can allow you to access different networks using the same physical SIM card. They’ve recently started to gain use in consumer devices (there’s a good report from CSMG/Ofcom available online that’s well worth a read). Apple SIM is one recent example; Truphone is another (the Truphone SIM card is reprogrammed automatically whenever you go abroad). Many smartphones do allow you to use more than one SIM card inside the handset (these are called dual-SIM smartphones). Dual-SIM devices are more popular in developing countries but we’ve recently seen them here in the UK too (e.g. with the hugely popular Moto G 5-Inch). A common use case for dual-SIM handsets is to have a local SIM card when travelling abroad to benefit from lower rates whilst also keeping your normal UK SIM card so you can continue to receive calls & texts on the normal UK number. With regards to your more in-depth questions about M2M SIM cards, you’d be much better off asking an expert about this topic! Thank you for the reply, Ken! Those additional form factors that you noted, along with the references, should be quite helpful! I own a Samsung core plus, and my full size sim doesn’t seem to fit in. Which size do I need? Merry Christmas! I believe the Galaxy Core Plus requires micro-sized SIM cards. You can see the article here for more information on how to get a micro-SIM. What is the size of micro sim card of Lumia 1320? where can I buy it? The Lumia 1320 uses a micro-sized SIM card. You can buy the handset from a whole range of retailers (e.g. £220 at Argos.co.uk or £195 at Amazon.co.uk). I have blackberry bold with standard sim not combo. Changing to blackberry Z10 micro sim. Can I do a phone switch without having a sim in both phones. Is a cut down sim ok if done in a phone shop. Hope you can advise. Regards . Thanks for your comment. How are you planning to change your type of SIM card – is it by ordering a new micro-SIM and doing an online SIM swap via your network operator? If so, you simply need to enter a few details online (e.g. the numbers printed on the SIM card). With regards to cutting your own micro-SIM, this is always a potential option but it could invalidate the warranty on your phone (e.g. if damage was caused by using a badly cut micro-SIM). The Galaxy Trend Plus (model number GT-S7580) requires standard-size SIM cards. You can order a standard SIM for your mobile network here. If the phone isn’t recognising the SIM card you’ve used, it might be necessary to first unlock your handset. Thanks for your comment. Samsung sells three different types of micro SD card: standard (with a light blue colour), Evo (with an orange colour) and Pro (with a black colour). The difference is mainly in the speed of the card: standard micro SD cards has a Class 6 speed rating whilst Evo & Pro micro SD card have a class 10 rating. In general, I’d go for Evo unless there’s a huge price difference with the normal standard SD cards. Hi & thanks for collating this information – invaluable knowing what type of SIM your new phone requires! No problem – glad to know the information was of help! Hi, i just got a Blackberry Q5 phone and then i realised i couldnt use my old sim. from your article i see i need a micro sim instead.. could i just break it off by myself to fit in.? For more information on your potential options, please see my full article on changing the size of your SIM card. To give you a short answer, it is possible to cut your own Micro SIM. However, I would normally recommend going to your network and getting an official replacement (it’s usually free and you won’t risk invalidating the warranty on your phone using a badly-cut SIM card). Hello, Just double checking that Motorola Droid Mini uses a nano-sim card. I saw the size on a cnet review, but would appreciate verification prior to ordering. I have two droid mini’s, but only one contract has ended. The other one ends in another year. Would it be better to buy two sims now or buy one now and wait until next year to get the other one? The Motorola Droid Mini does indeed use a nano-sized SIM card: you can see this page from Motorola’s website for more information. To answer your second question, I’d probably get the other nano-SIM only when you actually need to use it. This reduces the amount you’ll needlessly be paying for a second contract. The Xperia Z only takes micro-sized SIM cards (the SIM card slots into a micro-SIM holder but this is very different in size to a normal standard SIM card). Compare the diagram here to a standard-size SIM card. For more information, I recommend having a look at the Xperia Z user guide. I have a phone which isn’t a smart phone which I want to continue to use. I am looking at sim only contracts and they refer to sim for iphone. Can I use a smartphone sim in a phone which isn’t a smartphone? Thanks for your comment. You can indeed use a smartphone SIM card even if your phone doesn’t support data (you’ll still be able to use the calls & texts included). For a full review of the best value deals, see my comparison of the SIM only contracts and Pay As You Go bundles. Some recommended options include giffgaff’s £7.50 goodybag (you’ll get 200 minutes & unlimited texts for £7.50/month). For £10/month, there’s a deal from Tesco Mobile with 750 minutes and 5000 texts. I’m trying to use Motorola Migrate to transfer photos, contacts etc from my old Huawei P2 to my new Moto G (2nd gen). I’m still on a contract so want to put the same sim in my new Moto, which I think should fit. Does migrate work when there is no sim in the new phone? I have got so far and the Moto has been saying ‘preparing’ and ‘using wi-fi to migrate your stuff’ etc for about an hour and a half. Not very good with this sort of thing! I don’t have wi-fi so how is this happening, if it is, and if it’s not is it possible to do it with one SIM card? I’m afraid I can’t answer any specific questions about how Motorola Migrate works (probably best to ask Motorola directly). It does sound as if you need a wi-fi connection so I’d definitely try this again when both handsets are connected to the same network. If it’s really difficult to find an available network, you might be able to set up a wi-fi hotspot using either of the handsets. No worries at all! You don’t need an adapter for using the micro SD card inside of the S4 mini (it’ll support micro-SD cards without an extra adapter). The micro-SD-to-SD card adapter could come in useful if you’re using the SD card within another device (e.g. in a digital camera or laptop which requires you to use full-size SD cards). Of course, you’ll only need one adapter for all of your SD cards (so if you already have an adapter elsewhere, it’s totally fine to buy without an adapter!). I recently purchased the Samsung Galaxy s4 mini and I’m lovin it. I already have the SD card half full so I’d like to buy a new card. Would you please tell me if I need to get a Samsung product? I want to buy good quality. I’d like to have 64 gb, can this phone handle that? Thank you, Ken! 1) Choose a fast Micro SD card (ideally this should be labelled as “Class 10”). If you choose a cheap but slow card, it’ll make your phone run slower. More info over on this article. 2) Buy your Micro SD card from a reputable source. This will help you to avoid fake Micro SD cards. Amazon.co.uk is a pretty good bet though you’ll want to order from Amazon directly rather than from a third-party retailer which sells their products through the Amazon website. You’re looking for the text “Sold by Amazon”. At present, Amazon are selling a 64GB Samsung Class 10 Micro SD card (£24.99 when you click the link on the right-hand side to order from Amazon). There’s also a SanDisk equivalent for £25.96. You’ll need to ask your network operator to replace the Micro SIM with a new Nano SIM. It’s free on all networks except from EE and T-Mobile where you’ll need to pay £10.20 for a new SIM card. See this article for more information. I would strongly recommend against cutting your own Nano SIM due to the difference in thickness with your old Micro SIM. My wife is buying me a LG L70 smartphone for Xmas and presently I have an old Nokia mobile which uses a standard SIM card. I am with the Optus network here in Australia and my service is prepaid. No plans. I would like to know if I can just take out my old SIM card and put it in the new LG smartphone I shall be receiving,? Currently whenever I recharge my mobile each month I get up to 15 GB of Oz data but my present phone has no access to Internet or email and other features which is the main reason I want a new smart phone. Do you see any problems using my old SIM card in the new LG L70 ? I wish to keep my current phone number. I came across your website by accident and find it quite informative. Thank you for any helpful advice you may give. Nope – no problems at all keeping the current SIM card and putting it into your new L70. It’s the simplest way of keeping your current tariff & phone number. The good news is the LG L70 also uses standard-size SIM cards so you won’t need to worry about changing the size of your SIM card. I got a new iPad mini which takes a nano sim but I bought a micro sim in error. I cut the micro sim down to nano sim size and then using a fine grain sandpaper, I sanded down the back to the correct thickness. I don’t recommend this, but it worked fine for me. I already had data loaded on the micro sim so doing this was necessary for me. Thanks for the feedback about your experiences! It is possible to cut your own Nano SIM but it does require a fair bit of work (e.g. sanding your SIM card down to the right thickness as you mention in your comment). The reason I wouldn’t recommend anyone to do this is it could cause your SIM card to malfunction if done incorrectly. Furthermore, it would probably invalidate your iPad Mini’s warranty as you aren’t using a manufacturer-provided nano SIM. For most people, I would still recommend asking your mobile network operator to provide a replacement. It’s normally free of charge (except on EE and T-Mobile). if I bring in my new Samsung Galaxy s4 mini? Can I turn off the mobile data on the phone and get free wifi when its available. I’m unable to speak for whether Rogers will force you to change tariff (I’m based in the UK so my knowledge of the Canadian market is incredibly limited!) With regards to using the Galaxy S4 mini on wi-fi connections only, this is certainly possible. Within the Settings app, go to the Connections tab. Choose More networks > Mobile networks and ensure the checkbox for ‘Mobile data’ is turned off. You’ll still be able to use free wi-fi internet (e.g. at home or in the coffee shop). The chances are your old Sony Ericsson phone uses a standard-size SIM card (the micro SIM only started being used from 2010). To be doubly-sure, I’d take the SIM card out of your handset and compare it to the diagram in the article above. As the Galaxy S4 mini uses a micro SIM, you’ll either need to ask Rogers for a replacement or you can buy a Micro SIM card cutter from places like Amazon. Can I use my Apple Iphone 4 sim card in my Motorola Razr and vise versa ??? Assuming you have a Motorola RAZR (model number XT910), you can switch the SIM card between your two handsets as they both use a micro-sized SIM card. Very useful page thank you. I have a galaxy ace with Tmobile and want to swap to iPhone 4s that was with orange. I now know I need to cut the sim to micro, but will the phone work? I’m hoping it will as Tmobile and Orange are both part of EE but if it doesn’t how do I go about unlocking it? Thanks for your comment. Unfortunately, a T-Mobile SIM card won’t work in a Orange-locked handset. This is despite Orange and T-Mobile now both being a part of EE! To use your T-Mobile SIM card in the Orange iPhone 4S, you’ll first need to unlock it with the instructions on this page. With regards to changing your Standard SIM into a smaller Micro SIM, you could either cut it using a Micro SIM cutting tool (~£2) or you can order a replacement Micro SIM (£10.20 from T-Mobile). For HTC Desire C, it is the standard size right? I need to change my sim card, but plan to use the same phone. What should I do so that the data (like contacts for example) can be regained? Because I use Line and WhatsApp, with my current number. But as I am going to another country in a week, and am going to reside there for a minimum of 4 years, my phone number will need to be changed to minimize my outcome. is there a way to keep all my contact and history in my phone? Thanks for your comment. The good news is that on the HTC Desire C, most of the data is stored on your phone rather than being stored on the SIM card itself (e.g. all the photos, apps, text messages, etc are stored on the phone). The only thing you might lose is any contacts stored on the SIM card. To make sure this doesn’t happen, follow the instructions on this page under “Importing contacts from your SIM card”. After doing this, it’s a good idea to make sure everything is working without a SIM card inside. To do this, remove the SIM card from your handset and restart it without any SIM inside. Verify that all of your data is still available (you can place the SIM card back into your phone once it’s all done). With regards to WhatsApp, you’ll need to migrate your number over using the instructions on this page. So I have a Blu Neo 4.5. Do you what type of sim card it requires? The BLU Neo 4.5 requires standard-size SIM cards. I have an iphone 4s but the screen is broken and I dont want a costly repair. Is it possible to put the sim card into a moto e phone and would I still be able access my emails from my icloud email address in the moto e? Idont know anything about technology! Yep – you can indeed do this! The Micro SIM from your iPhone 4S can slot directly into a Moto E. Once you get the new Moto E, it’s worth using the Motorola Migrate tool to move your settings over from iCloud. For iCloud e-mail, follow the instructions over at Android Central to get it set up in the Android e-mail app. Finally, if you’re still yet to buy the phone, take a look at my guide on the cheapest ways to buy a Moto E.
Do you have info on the SIM cards for the Asus zenphones 4,5 and 6? The Asus Zenphone 4, 5 & 6 all use micro-sized SIM cards. Hi, Can I take my simcard from the IPhone 5c and transfer it to the sony xperia z3? I have an old blackberry and am thinking of upgrading to the Passport which uses the Nano card. Firstly how can I copy information from the old SIM card to the new Nano Card. Secondly if I get a “SIM free” phone do I need a special SIM card for the Blackberry from the Network Provider of my choice? 1. 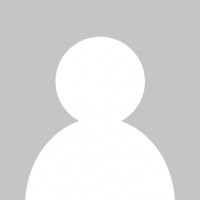 BlackBerry has made a ‘device switch’ tool for you to copy your data onto a BlackBerry 10 device (choose ‘BlackBerry OS v5.0 to 7.1 on the web page I’ve linked and follow the instructions they provide). 2. For BlackBerry 10, you won’t need a special type of SIM card (prior to BlackBerry 10, it was necessary to choose a tariff with the BlackBerry Internet Service included on the plan). Simply ask your mobile network operator to change your Standard SIM for a nano-sized SIM card. Can I swap a micro sd from my sony xperia to the iPhone 4s? Thanks for your comment. If you’re referring to a Micro SD card (a form of expandable storage), it unfortunately won’t be possible to use your card on the iPhone 4S (this is because the iPhone doesn’t support external forms of storage). If you’re referring to a Micro SIM card issued by your network operator, then it will be possible to use this on your iPhone 4S. Yep! As both the iPhone 5 and Lumia 930 use nano-sized SIM cards, you can simply swap the SIM from one handset to the other! I have a samsung galaxy mega that’s on sprint network, which sim card I need or best one you suggest to use? The Sprint Galaxy Mega (model number SPH-L600) uses micro-SIM for 4G LTE connectivity. The global version uses a micro-SIM for 2G, 3G and 4G. I have a Motorola Driod Ultra: which size SIM card do I need? The Droid ULTRA uses nano-sized SIM cards. The SIM card tray is hidden inside of the volume rocker. For more information, see page 4 of the Droid ULTRA user guide. Hi everyone, I need help determining which sim card is for a Motorola Droid Razor M. By looking at your chart I think its a micro sim however, I want to be sure because I’m switching from my old droid(3g) to the Razor M which is (4g). The phone isn’t in the list and requires a monthly prepaid plan for which I have to purchase a new sim before I can switch phones over on the pp network.Thanks in advance for any help you can provide. What size sim does a Sony Xperia U take, I think it is standard but it’s not on you list? Also you don’t provide information about Virgin as a network provider. Do they provide free sim changes? E.g if I was to buy a new phone and that new phone required a nano sim but the one I am currently has uses a standard sim, would Virgin swap my sim on the current contract for free and keep the same number? Or would I have to buy a new sim and ask them to port the number over to keep the same contract? Or would they expect me to start a new contract and still finish my current contract as well? You’re right in saying the Xperia U uses standard-size SIM cards. Regarding Virgin, I wasn’t able to find any official info on how much it costs to get your SIM card replaced. I would recommend having a look at these two threads in the Virgin Mobile community (thread 1 and thread 2). The general consensus is it’ll cost up to £5 to replace your current Virgin SIM card. You can do this by calling Virgin’s customer service line on 789. There’s no need to buy a new contract: you can keep the current contract whilst moving to a new SIM card. You’ll need a standard-size SIM card for the BlackBerry Curve 8310. This is a general rule for all BlackBerry devices branded as Curve or Bold (only since the launch of BlackBerry 10 in 2013 have BlackBerry switched to using micro-SIM). The Xperia L requires a standard-size SIM card (see page 9 of the Xperia L user guide for more information). Thanks for your e-mail. From what I’ve been able to ascertain online, the HTC Desire 6275 (previously available on some US networks) is a CDMA smartphone. As such, it wouldn’t have a slot for a SIM card (you’ll only find a SIM card slot on GSM handsets). What size sim does a Samsung Galaxy Trend Plus use? The Galaxy Trend Plus (model number GT-S7580) requires standard-size SIM cards. You can order a standard SIM for your mobile network here. I really hate nano sims and do not understand why phone makers have adopted it when the micro sim did the job. Thanks for your comment. I’ve had a search through my database – unfortunately there’s very few phones which support 4G technology whilst still using standard-size SIM cards! Is there a particular reason why you aren’t able to switch to a Micro SIM? Making the switch will greatly increase your choice of available handsets. Hey Ken! So, I was wondering…what size SIM card does a lightahead la 906T use? From the look of the comments on Amazon.com, it looks as if the phone uses Standard SIM (though probably best to verify this fact before buying the phone or ordering a new SIM card). The Galaxy S5 uses micro-sized SIM cards. See here for a list of places to order your Micro SIM. which is the best phone i can buy in standard sim size ?? I would like to know what are the features of different types of SIM’s like 16k, 32k, 64k, etc. Is there any impact on network quality or data usage speed on using any of the sim capacity type. What are the overall features, advantages & disadvantages of different size of Sim’s. I just recently bought a new Samsung Galaxy S5 out of contract. The phone is unlocked. My old device is an Iphone4 which is locked to Rogers network. From your guide it looks like both phones use the same microsd sim card. Can I just take out the sim from my old Iphone and place it in my new Samsung and it will work perfectly? i.e – (Same number, make phone calls, email, data etc) Or do I need to buy a new sim card for this phone? Is there any danger of using an old sim card on a new phone? Nope – there’s no danger at all using an old SIM card in your brand new smartphone. Indeed, the GSM SIM card is designed to be easily changeable between multiple handsets. The only thing to worry about is having a SIM card that’s of the wrong size (a badly cut SIM card or a badly made adapter could possibly cause damage to your handset). In your case, both the iPhone 4 and Galaxy S5 use Micro SIM so there’s nothing to worry about regarding SIM card sizes. I switched out the SIM and seems to work fine. I am buying a Nokia Lumia 520 UK sim free from Amazon – will this work on an international network? I am buying it as a present for my brother who lives in Cyprus and will be using CytaVoda Network (Cprus’ Vodaphone). An reviewer on Amazon said she couldnt use it in Ireland but not sure if this was her or the phone! Thanks for your comment. If you’re buying the SIM-free version of the Lumia 520, it’ll work abroad as well as on UK networks. The only provision is your network in Cyprus will need to use the same frequencies as the Lumia 520. I’ve just checked this for you: Cytamobile-Vodafone works on the GSM900, GSM1800 and UMTS2100 frequencies. The Lumia 520 supports all of these frequencies so should absolutely fine! 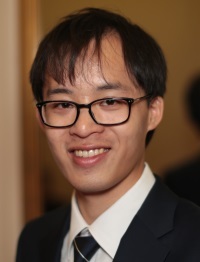 It is necessary to know what CLASS -in memory cards- is required and/or useful for any camera, cell phone… Using class 4 could be bad for fast photos, but to buy a class 10 is much better (fast answer-connection) but not all cells accept it. So … ? Thanks for your comment. When adding more storage with a Micro SD card, it’s important to look at the SD Card Class rating (see this page for more information). With SIM cards, there’s no such thing – you only need to pick up a SIM card of the right dimensions (e.g. Standard/Micro/Nano SIM). I have recently got a Sim-Free Sony Xperia M phone that is not locked into any network for my birthday. I am trying to keep my Giffgaff number on the O2 network but need a micro sim. I have ordered and received a new Sim from Giffgaff. I have activated this Sim and tried to perform a Sim Swap on the Giffgaff site, so that my new micro Sim acquires my current phone number. Unfortunately, my phone doesn’t even recognise the Sim. Although I can use my internet at home through wifi I cannot text or receive called. I have tried to enter phone settings for Giffgaff I received from a “techie” site but nothing seems to work. Any suggestions as to what I need to do to get my phone to recognise my Sim and to also swap it to my old phone number. Thanks for your comment. Are you staying on giffgaff or are you changing network to O2? (I wasn’t quite clear). If you’re staying on giffgaff, the SIM Swap tool should work as advertised (if not, I’d suggested using the Ask an Agent form). If you’re moving to O2, you’ll need a PAC Code in order to keep your number. 1. Can i just insert my standard sim and will it affect the phone at all? 2. What are the differences in terms of volts? Standard sim and mini samethe same? 3. At the box, it has a picture of crossin out 5 volts sim. But the sim looks like a standard sim. Wha does that mean? Thanks for your comment. I believe the Alcatel Pop C5 uses standard-size SIM cards (also known as Mini SIM). Where did you read the info about micro-SIM? Anyhow, you don’t need to worry about damaging your phone by inserting a SIM card of the wrong voltage. 5 volt SIM cards haven’t been used for over 15 years: most SIM cards today are 1.8V but can also work at 3V. Hi, I am about to buy a Nokia Lumia 520 locked to T mobile, I have a Orange sim card from my current Nokia phone, would I be able to use it in my new phone ?? Thanks for your comment. Unfortunately, a handset locked to T-Mobile won’t work on the Orange network. You’d have to unlock it but this requires you having being a T-Mobile customer for at least 6 months (there’s also a £20.42 charge for unlocking your handset). A better option would be to buy a SIM-free Lumia 520 (currently £79 on Amazon.co.uk). A SIM-free handset will be sold unlocked and will hence work on any mobile network. Although it’s around £10 more expensive than a locked handset, it’ll be guaranteed to work on Orange. There’ll also be no extra charges for unlocking your handset (these charges will likely outweigh any savings on cost). The Xperia C uses micro-sized SIM cards. You can find out more in the Xperia C user guide. Hi everyone, I am having difficulties identifying which brand of Samsung Galaxy or LG uses a standard sim card, one that I could use when traveling in Europe or Africa. Recently I got a father’s day gift of Samsung galaxy s4 only to find that it was min and could not take my standard sim. So, I need help. I am especially interested in either Sumsung galaxy or in LG. Can someone help me? I would really appreciate. The article above lists the size of SIM card for Samsung Galaxy and LG handsets. Your best bet would be to go through the list and to choose a suitable handset which uses Standard SIM. Unfortunately, most of the smartphones released in the past 2 years now use Micro SIM rather than Standard SIM. If you really need a handset which uses Standard SIM, a good bet might be the Galaxy S3 Mini. It’s a mid-range smartphone and is currently available for £128 (albeit it’s now two years old and has since been replaced by the S4 Mini). Your comments, insights and the link you sent me were very helpful to my dilemma. The Sony Xperia L uses standard-size SIM cards. What type of sim does a Sony Ericsson Xperia X10 mini pro please? The Sony Ericsson Xperia X10 mini pro uses standard-sized SIM cards. hello, i have a sim card from the company 3 and the gold contacts got almost to the edge. the cutting line is over the top of the contacts, am i ok to cut over them or not? thanks! It’s OK to cut through the gold contacts (they’re only the contacts – the actual chip itself is much smaller). You can see a diagram of the SIM card structure here. That said, I would always recommend going to a Three store and asking them to give you a new SIM. It’s free to change your size of SIM card and you don’t risk invalidating any warranties (e.g. in case a badly cut SIM damages your phone). I have an apple iphone on the orange network.im changing to a monthly sim.im on 3G not sure what size SIM card i need. The iPhone 5, iPhone 5s and iPhone 5c require nano-sized SIM cards. The iPhone 4 and iPhone 4S require micro-sized SIM cards. The iPhone 3G S and earlier models require standard-size SIM cards. Does the blackberry 9320 sim card fit into the sony xperia M smartphone ?? The SIM card for your BlackBerry 9320 would have been a Standard SIM whereas you now require a Micro SIM for the Xperia M. Before using the Xperia M, you’ll need to change the size of your SIM card. You can refer to this guide for more information. The Sony Xperia Tipo uses standard-sized SIM cards. I have a Motorola Razr Maxx. I am interested in getting a used Iphone 4s. Will I be able to simply swap out the SIM card from my Razr to the Iphone 4s? Thanks for your comment! From what I’ve found, the RAZR MAXX uses Micro SIM. So the answer is yes, you can simply take the Micro SIM from your RAZR MAXX and insert it in an iPhone 4S (which also uses Micro SIM). can u tell me what is the sim size of sony xperia L?? The Sony Xperia L uses standard-sized SIM cards (see the diagram on page 9 of the Xperia L user guide). According to https://en.wikipedia.org/wiki/Subscriber_identity_module#Formats there is no so called Standard SIM. What you mean is the Mini SIM, as opposed to the full-size SIM, which has the size of a credit card. You’re totally right! Strictly speaking, “Standard SIM” is actually incorrect terminology – as you say, the correct term to use is actually “Mini SIM”. The reason I’ve used “Standard SIM” in this article is to ensure consistency with the terminology used by UK networks (the ‘Mini SIM’ terminology is rarely-to-never used by UK networks). The other complication with using “Mini SIM” terminology is it’s easily confused with the newer “Micro SIM”. So for ease of understanding, this article refers to Standard SIM (2FF), Micro SIM (3FF) and Nano SIM (4FF). With regards to the full credit card-sized SIM card, it hasn’t been in use for over a decade (as such, we’ve neglected to mention them here on this page). Ken,last week I bought a grade A refurbished unlocked Q10 from an online dealer in Glasgow-Freedom Mobiles;they have a very good reputation and I did a lot of research beforehand. Having ordered a new PAYG microsim for Blackberry from T-mobile,I found that the phone wouldn’t recognise it: it transpired that they had sent a nanosim by mistake. Staff at the local EE shop replaced it with a microsim and told me that activation could take up to 24 hours;this morning,having waited the requisite length of time I found ‘sim incompatible’ on the network page under settings. I took it back to EE and the main man told me that the phone was still locked to Vodaphone and then sent me to a local unlocking specialist. The process will take 24 hrs and cost £25;I’ve told the dealer about my difficulties and asked him to speak to the engineer doing the unlocking.The dealer tells me that he did carry out a thorough test of the Q10 before putting it on sale and is not convinced that unlocking is required. I’ve left it to him to talk to the engineer and to let me know what transpires later today. Thanks for your comment. I’m afraid I can’t give any specific advice in this situation – it really depends on if the BlackBerry Q10 has actually been unlocked. If it transpires that an unlock is required, you can of course complain to the retailer you bought the handset from (the phone wasn’t sold as described in the advert). If it’s found out that the phone has been unlocked all this time, I would suggest trying a SIM card from another mobile network (this would allow you to determine if there’s a problem with the handset or a problem with the SIM card). Thanks for the advice Ken;I’ve just collected the phone from the engineer:it was locked and so I have sent copies of the work and payment receipts to the vendor-together with an angry email-and requested prompt reimbursement of the costs incurred. I have a lumia 520 ,can I put this sim in a iPhone 5s? Thanks for your comment! The Lumia 520 uses Micro SIM whereas the iPhone 5s uses Nano SIM. In order to use your SIM card in the iPhone, you’ll first need to get it exchanged for a nano-sized SIM. I have a simple phone, not a smartphone. Do your comments only refer to smartphones? My phone is an Alcatel OT-E227 Pay-As-You-Go on Orange. Does that mean I order a Combi-Sim from EE? Thanks for your comment! Like most other featurephones, the Alcatel OT-E227 uses the standard-size SIM card. So yes, you’ll need to order a Combi SIM from EE. Please be aware: the Alcatel OT-E227 is a 2G-only phone and lacks support for accessing the internet. Hence, rather than ordering the comparatively expensive 4G SIM card from EE, you’d be better off choosing a cheaper network. For instance, giffgaff (get a free SIM card via this link) is a cheaper network working on 2G and 3G. Their prices are much lower compared to EE. I have a Motorola X8 phone. The sim card slot is missed. It doesn’t work after I directly insert an activated ATT SIM card in it (without the slot). Do you know if it should work or how to fix it? Thanks for your comment! Can you clarify which phone you have? I think the Motorola X8 is simply the name of the processor… rather than the name of the phone itself! In the US, some phones lack a SIM card slot as they use CDMA technology (no SIM card is required). I believe AT&T is a GSM network so you’ll need a handset compatible with GSM on AT&T’s bands. You’ll also need a SIM card of the right size. I also got completely done over by Virgin recently. They supplied a Nokia 520 as an upgrade; I inserted the nano SIM in the adapter, it didn’t work, but it did take off the pins on the way out. I now face a 70 pound excess to claim on the insurance, or a 90 pound cost to replace the phone myself, or just 2 years waiting in expensive silence for the contract to expire. Nano SIMs don’t work, they are not suitable for anyone with less than perfect co-ordination and eyesight (i.e., over 40?) and other providers supply the right SIIM with their phones without any messing about. This one ranks up there with Virgin deleting my email account without warning, as a reward for changing to Cable. Just an update to my comment 13th Jan. I found nokiasupport.co.uk a few days ago, they confirmed my suspicion, the “combi” sim is incompatible with my N8 and also a number of other Nokia smart phones, its possible that this sim may also be incompatible with many other makes of phone, owners should check with their manufacturers. The problem I believe is that the mini, micro and nano sim metal contact pad is 39% smaller than the standard sim metal contact pad, the number and position of the segments differ as may the connections to the chip. I am preparing a letter of formal complaint to Asda CEO as I am not receiving any help from their mobile phone department regards no data connection to my N8. Hello Ken, how confusing and annoying are sim card sizes. I use a 2yr eight month old Nokia N8, it has been working perfectly during that time using asda mobile (vodafone) then they announce they will be moving to EE. I sent off for the appropiate sim to eventually receive four. I inserted the first one, applied the seemingly lacking settings to find internet e-mails and maps won’t connect. To my disbelief trying the card in my ancient Sony Ericson K800i it connected to the internet. I tried all four cards with the same result. I compared the original working sim to the sims sent me by asda to find the original sim metal connection pad measuring at 14.5mm long by 11mm wide, I understand this to be 2FF, but the “new” sim metal contact pad measuring 11mm long by 8mm wide which I believe to be 3FF, is it possible that the N8 is incompatible with the later sims. Has anyone else found this problem, is there a cure? Orange have just transferred my old sim card details to micro sim for new Xperia M. When I set the sim lock lock will my previous sim password still be active? Appreciate any help on this. Thanks. Great question! The SIM lock (or SIM PIN code) will be stored on the SIM card itself. It protects the information stored on the SIM card. If you’re transferring to a new Micro SIM, the SIM PIN will not be copied over. If you like, you can set up a new PIN code after receiving the Micro SIM. which micro sim fits the Nexus5 phone for T-Mobile ? Thanks for your comment. The LG Nexus 5 requires a Micro SIM card (both the international versions and the US versions of the phone). Assuming you’re talking about T-Mobile USA, see this article for more information. Im looking at a Blu vivo 4.3 D910a. Android jelly bean. 4.1.2. ASIN:BooCUQDUB. I have just been supplied a nano sim for a gallaxy s3 . the adaptor has wrecked the phone and it will no longer read any sim ! Hi, Ken. Thanks for the informative article. > Adapters are known to cause problems in certain devices: in particular in the Nokia N8, BlackBerry Bold 9700, Sony Ericsson X10 and Samsung Galaxy Note. Using a SIM adapter in one of these devices could damage the SIM card slot. I have a SE X10 mini (E10i). It is close to 3 years old but it still works fine with a customized ROM. Currently I am trying to have it recognize the nano SIM card that I inserted with an nano-to-standard (or 4FF-to-2FF if you want to be technically precise) adapter, to no avail. The SIM card slot is not damaged in any way; it can still recognize “stardard” (2FF) SIM cards in a stable fashion. Do you have any idea why it cannot recognize the nano SIM card? I am clueless and any help would be much appreciated. One thing you should check is to make sure the Nano SIM actually makes contact with the SIM card reader. A Nano SIM (4FF) is 0.67mm thick whereas a Standard SIM (2FF) is 0.76mm thick. Depending on whether your adapter adds the extra thickness, it’s possible that the SIM will be loose and wouldn’t make contact with the reader. There are various devices in the RAZR family, though I believe you’re referring to this one? If so, your RAZR will need a Micro SIM card. Which micro sd card fits a huawei tablet? What size sim does a A7100 android smartphone use ? I have a Samsung Galaxy S3 Mini and the sim card is a micro sim. I chaged from a Nokia 7230 and the sim card could not be switched. Your guide says S3mini is a standard sim. I am on Vodafone PAYG. As far as I'm aware (and I have double-checked this issue! ), the normal Galaxy S3 uses Micro SIM whereas the Galaxy S3 Mini uses Standard SIM. Could you kindly double check your handset's model and verify that it's a Galaxy S3 Mini? Is the S3 Mini for “USA version” also use standard sim card? or is it specific to the version? The US versions of the Galaxy S3 mini (i.e. the SM-G730A for AT&T and the SM-G730V for Verizon) both use standard size SIM cards. What does it mean by “standard”, full size (credit card size) or mini? Sizes are: full (1FF), mini (2FF), micro (3FF), nano (4FF). I still have some working phones that take a full size card or a mini-SIM with an adapter! The term “standard” is ambiguous and incorrect. Soon, one of the smaller sizes will become “standard” although, personally, mini-SIM is about the most practical size. Thanks for the comment! You make a really good point here – I'm simplifying the terminology here to match up with what is used by the mobile operators (they almost always refer to 2FF as a Standard SIM rather than a Mini SIM). I think partly this is due to consumers finding the terms "Mini" and "Micro" easy to get muddled… also the majority of phones since 2G have used 2FF Mini-SIM cards. I'm personally a fan of 2FF SIMs too, and I struggle to see why we need 3FF and 4FF (not sure it really saves a significant amount of space within the phone). Also the introduction of 3FF and 4FF has caused all kinds of new issues with SIM cutting and SIM adapters – this can sometimes be a real headache for consumers.